Many customers are evaluating SAP Fiori and SAP Cloud Platform to improve the user experience of SAP solutions. SAP Fiori Cloud fits exactly in this kind of request, accelerating the pace of innovation, allowing SAP users to benefit from the new user experience SAP has delivered. In this series of three Blogs I’m going to describe the steps that should be followed to connect SAP Fiori Cloud Extended Demo Account to a customer landscape. We have followed the 12 steps described in @Elizabeth Thorburn’s Blog series. We have activated one of the most requested app for SAP customers, the Fiori App “Approve Purchase Orders”. As a result, you’ll have the step by step documentation of what we did in the 12 steps to activate and Run the Approve Purchase Order App. The customer request in this case was very clear: Approve Purchase Orders using a mobile device. We have used the Fiori Apps Library to get the information of what the App does, see some screenshots, and get technical information of the software components needed to set it up. We have some possible architectures for connecting Fiori Cloud to the On-Premises customer landscape. In our case, we used landscape option 1, with SAP Gateway Hub installed separately from SAP ERP. 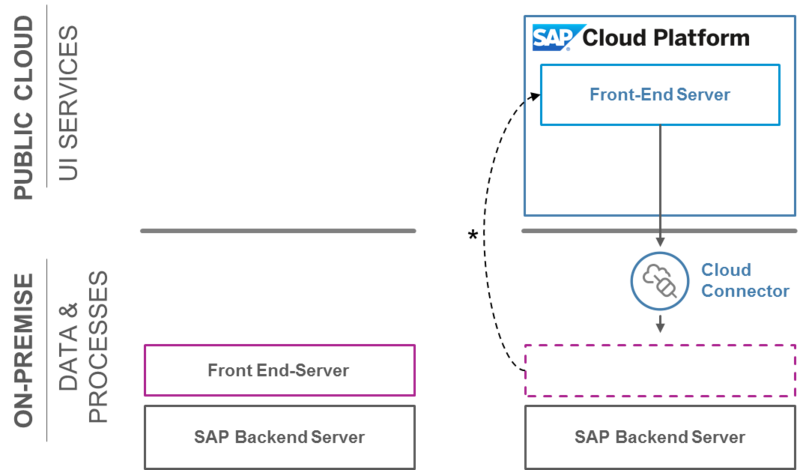 This configuration adds some steps to config the relationship between SAP Gateway Front End Server and the Backend. * Remark: In our case, the backend server used was a SAP ECC installation. Keep in mind that when the backend used is SAP S/4HANA, the SAP Gateway On-Premise may be still necessary since the SAP CP OData provisioning services does not fully replaces the SAP Gateway server capabilities. For more information and restrictions, please check the SAP note 1830712.